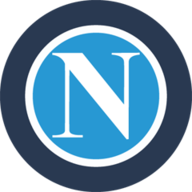 Carlo Ancelotti's first trip to his former club got off to a promising start when Jose Callejon volleyed for Dries Mertens to open the scoring after 10 minutes. But Ronaldo set up Mario Mandzukic to head in the equaliser after 26 minutes. The momentum then swung to Juventus, with Ronaldo looking destined to score but the ball bounced off the left post and into the path of Mandzukic, who tapped in his second four minutes after the break. Napoli were a man down after left-back Mario Rui was sent off after 58 minutes for a second bookable offence. Leonardo Bonucci got the hosts' third after 76 minutes after Ronaldo glanced a header towards goal from a corner. Elsewhere, Lorenzo Pellegrini came off the bench and lifted Roma to a 3-1 win over bitter city rivals Lazio to revive his side's stumbling start to the season. Eusebio Di Francesco's team had plunged into crisis after a 2-0 defeat to Bologna, but have now claimed consecutive wins for the first time this season after their 4-0 victory over Frosinone in midweek. Pellegrini opened the scoring with a clever backheel flick a minute before half-time. Ciro Immobile equalised for Lazio, but Aleksandar Kolarov made it 2-1 courtesy of a defensive lapse. Federico Fazio, who was to blame for Immobile's goal, sealed it for Roma with a header following a free-kick. The win ended Lazio's four-match winning streak in Serie A and lifts Di Francesco's side into fifth, just behind their city rivals with 11 points from seven games. Inter Milan beat Cagliari 2-0 thanks to goals in either half from Lautaro Martinez and Matteo Politano.